I charge $ 165 for a 2 hour reading which is taped in an MP3 format and send to you. I am originally from Germany, living in Maui, Hawaii since 1995. I have been a jeweler, evolutionary astrologer and a published author with Llewellyn for many years. 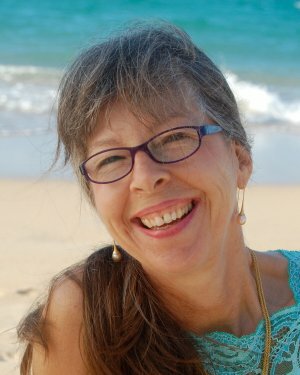 I am writing a monthly column for the Maui Weekly the "Living Your Sun Sign" suggestions and a New Moon & Full Moon column for the monthly MauiMama. In my book Jewelry and Gems for Self-Discovery: Choosing Gemstones that Delight the Eyes & Strengthen the Soul I teach you how to read your personal horoscope and blue print for your life and how you can balance and heal yourself accordingly with gems. At my blog, “The Astrological Weather Report and Healing Gems" you can find many articles about the correlation of astrology with healing gemstones, other subjects and a free monthly astrological forecast. I have been giving astrological readings professionally for 33 years and I love to do this work. To look at a chart through the evolutionary perspective of the soul adds a deeply meaningful and significant perception of yourself and your activities in your life. I believe that a higher perspective will always give you better choices to align yourself with the current cosmic flow and helps you riding the wave more joyfully.